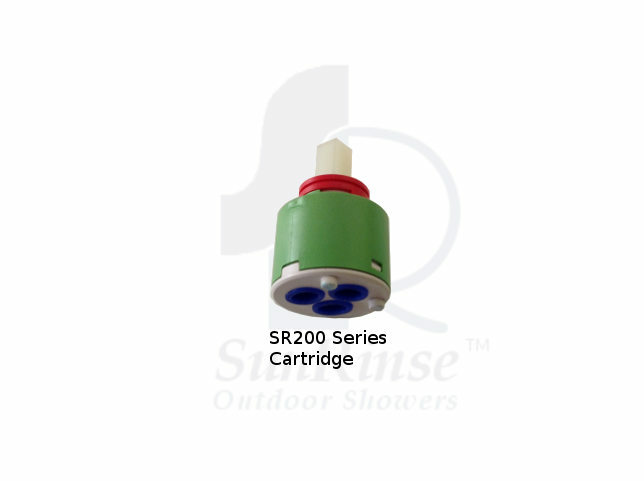 The SR201-ECO is an outtake from our very popular SR201. An ECO cartridge has been swapped with a water saving 1.8 gpm cartridge for our water conservation requirements. 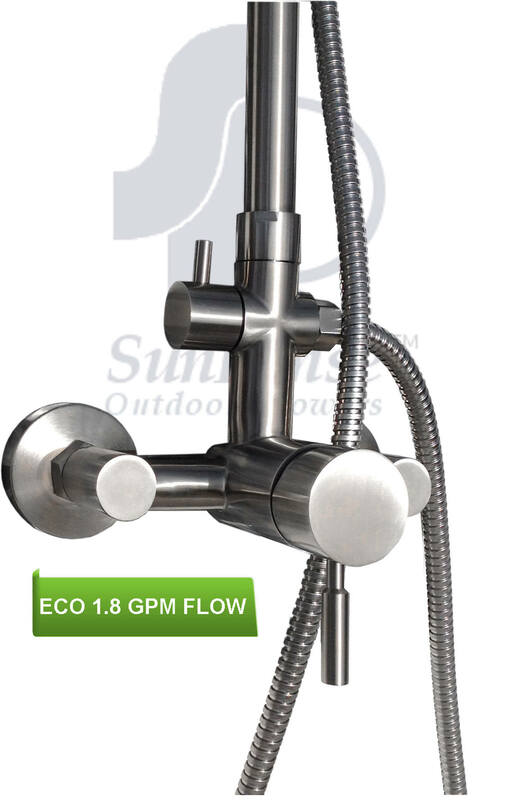 Enjoy 1.8GPM with the ECO model without sacrificing the shower experience. 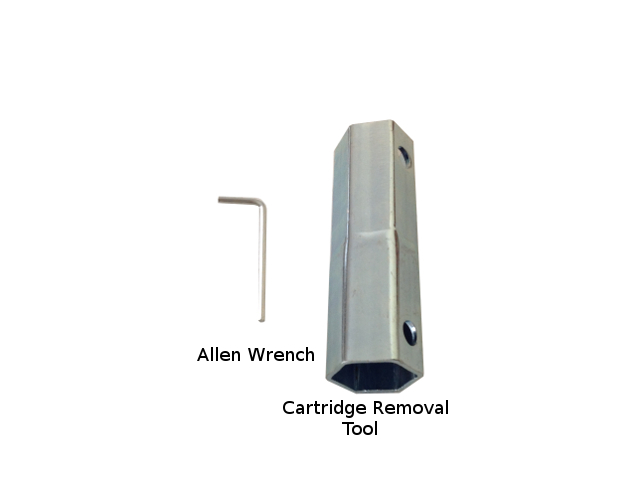 The SR201 is made from solid 316 marine grade stainless steel. The lasting outdoor fixture is designed for the outdoor environment. A big eight inch rain head will soak you. 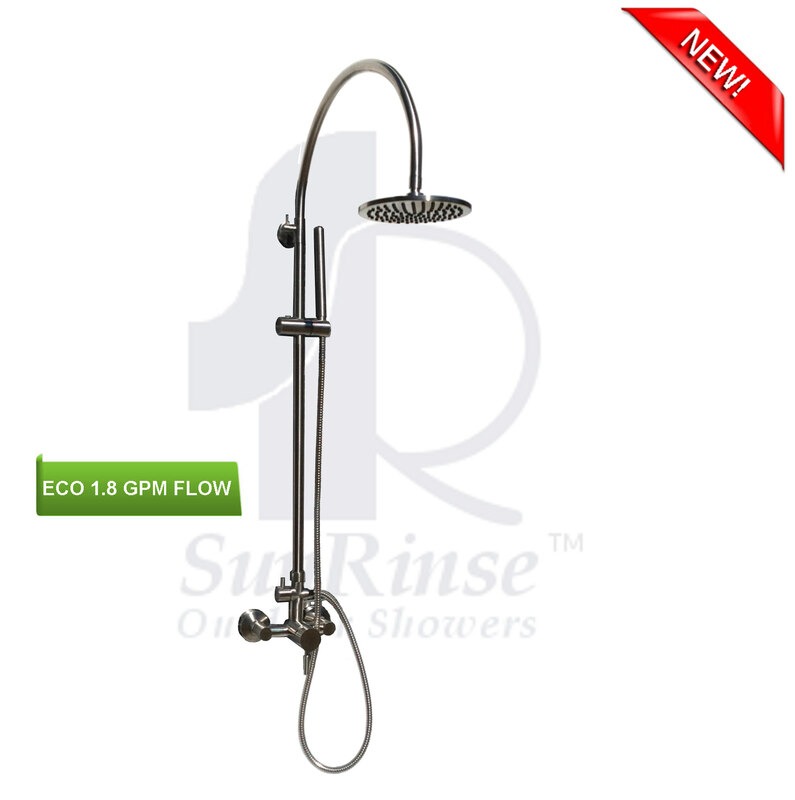 Add height to the shower if you like with a simple twist of the lever and create customized shower to anyone’s level of comfort. 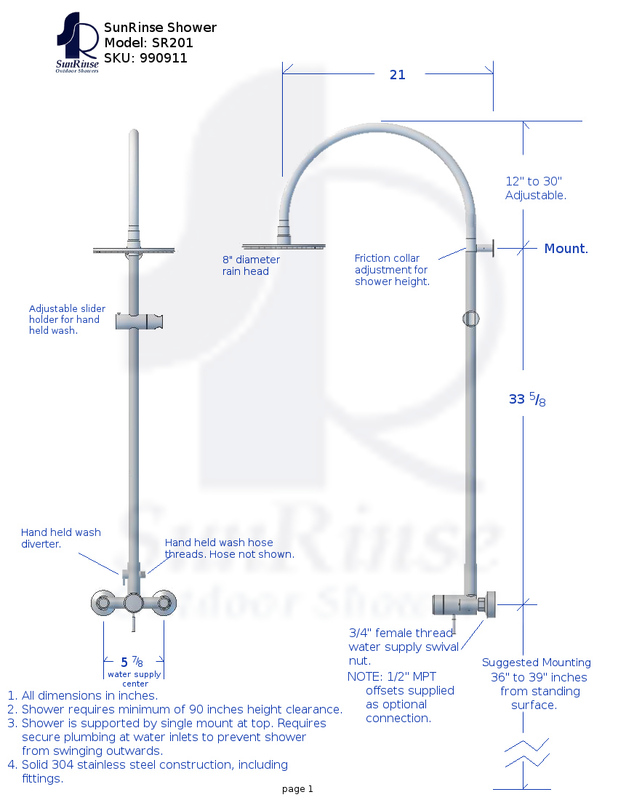 Dual hot and cold water supply, this shower is ready for installation. Stainless steel’s natural beauty thwarts corrosion and is a good material for rain, salty and high humidity environments. 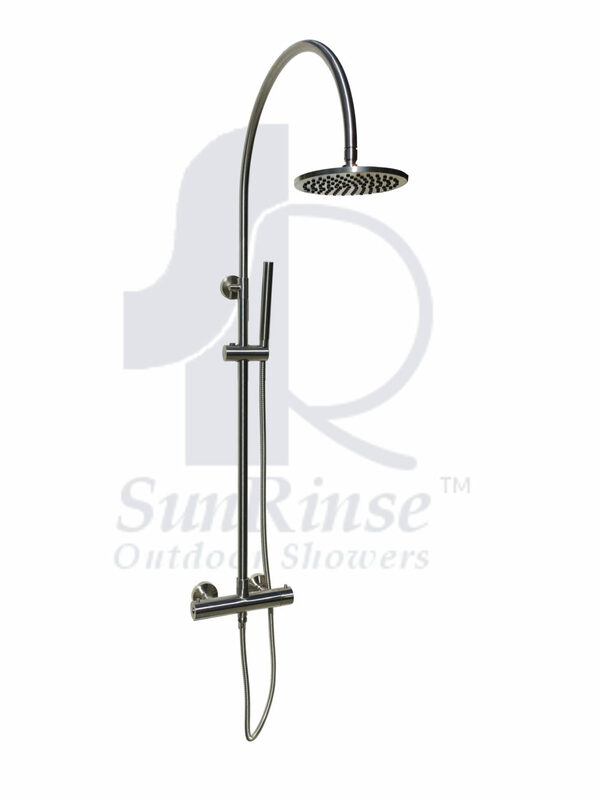 SunRinse is proud to offer this unique timeless piece at an affordable price. 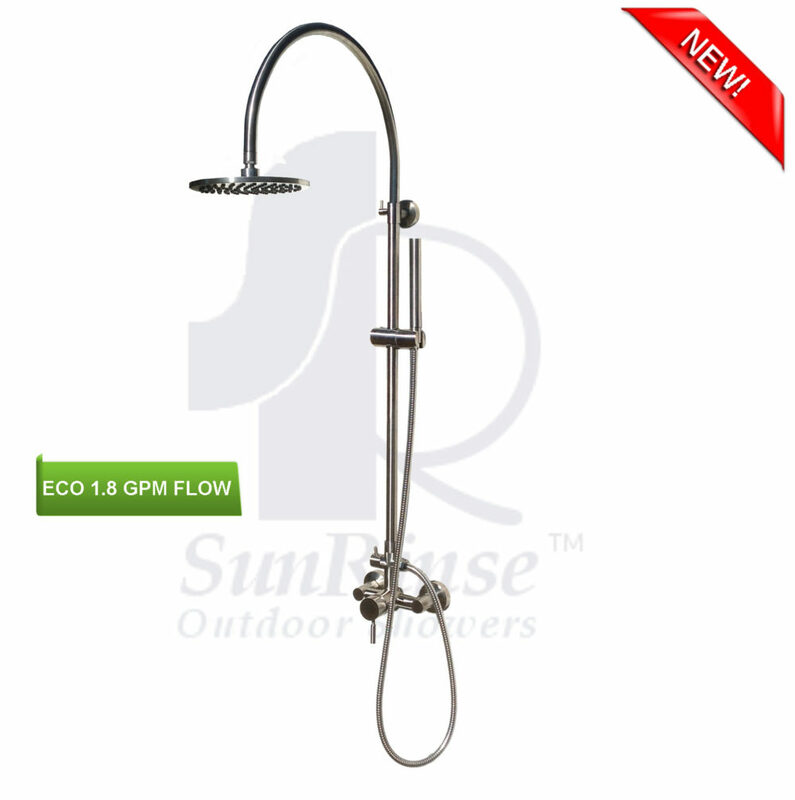 Great for new or replacing existing outdoor showers. 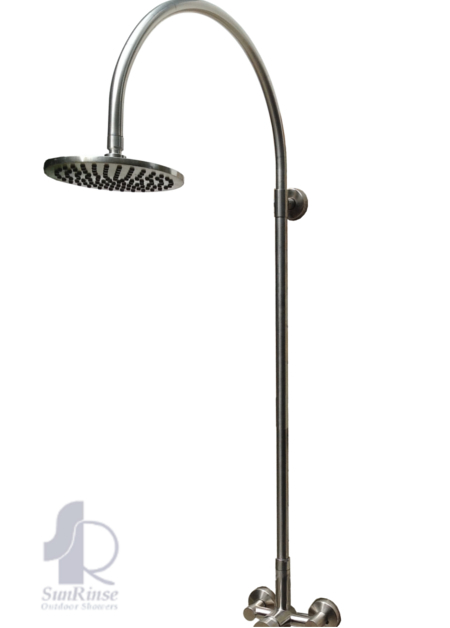 The hand held wash is detachable from the adjustable holder. Cleaning everything within it’s long 60 inch reach, feet, toes and pets. 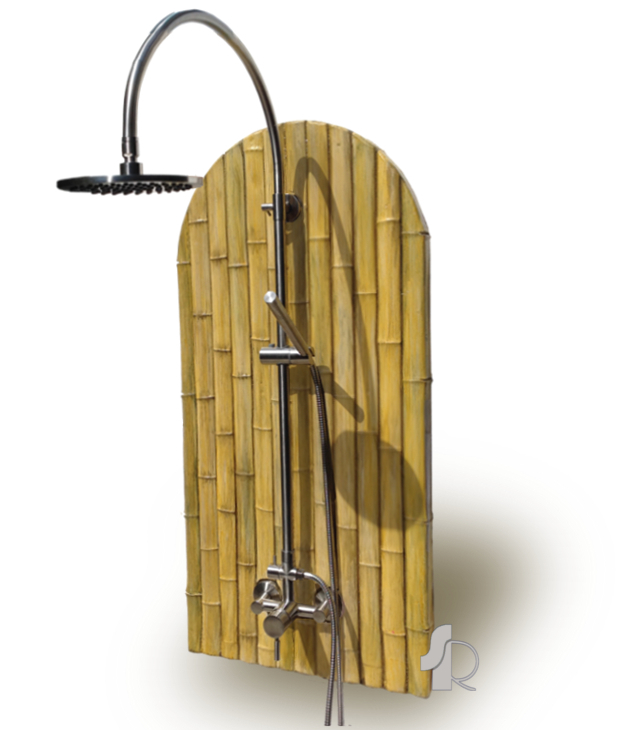 Or keep the hand wash in the holder and slide down for a hands free rinse. All controlled by a single mixing valve and a diverter for the hand held wash, this shower is ready for installation. 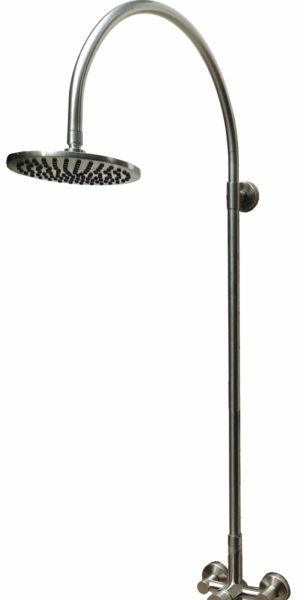 Stainless steel hand shower with 60 inch flex hose, great for the pets or feet. Usually ships same day for orders received by 10AM CST. 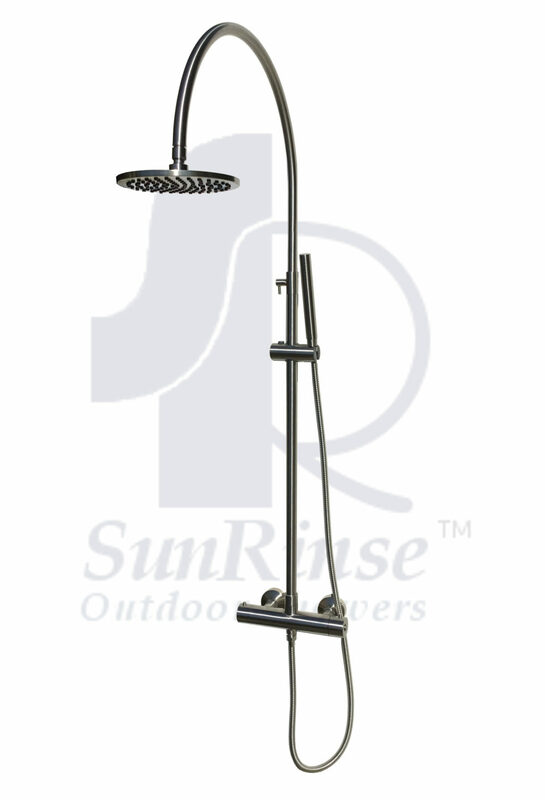 SunRinse outdoor shower fixture is made with Marine grade 304 Stainless Steel! Tool to weatherize an outdoor shower.